Display live game data within your custom overlays. A Scorebot can deliver scoreboard data into your existing production environment, automatically updating game data in real-time. Sportzcast is live scoreboard data decoding & distribution, sourced directly from the scoreboard itself. Our automated workflow tools allow your organization to apply scoreboard data in real-time to various applications. Examples of these applications include: broadcast graphic overlays (including integrations into leading major production platforms), game film annotation & metadata syncing, production workflows, website scoreboards & many more. Compatible with over 100 different makes & models of scoreboards, covering virtually every scoreboard you could come across. 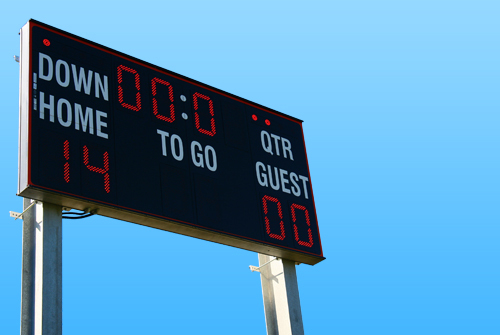 We even have a solution for venues that do not have traditional physical electronic scoreboards. Installing a Sportzcast ScoreBot at your venue will allow your organization to share scoreboard data with the all of your fans automatically and in real-time! Simply connect your scoreboard controller to the ScoreBot, plug into the internet and you’re ready to go. 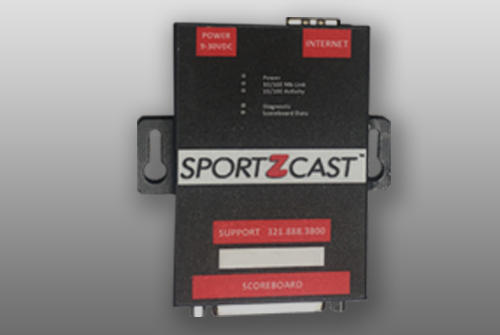 Sportzcast’s universal scoreboard interface allows our users the ability to connect to virtually any scoreboard make and model! Connect your Scorebot directly via a local connection, to the internet, or over WiFi. Note: your connection options vary by Scorebot model. The Scorebot connects to a spare output on the venue scoreboard controller or via wireless signal. Outputs vary by scoreboard manufacturer, however Sportzcast can connect to virtually any scoreboard make or model. As the venue scoreboard operator updates the venue scoreboard, the data is simultaneously distributed to the Scorebot and out to your application. 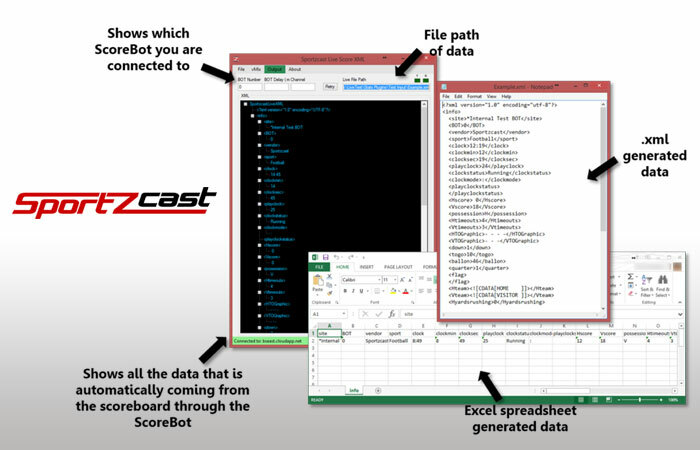 Sportzcast Scorebot data is natively integrated with most major sports production, broadcast & coaches tool platforms. Display real-time scoreboard data from ANY scoreboard type in your production environment in real-time. 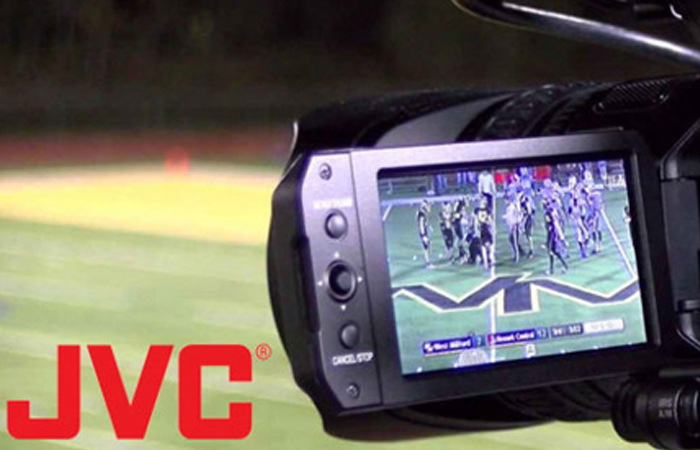 Sportzcast’s own graphic overlay software allows you to render a dynamic .png file that encoders such as vMix, Telestream’s Wirecast, Livestream Studio & others can use to create a real-time graphic overlay that updates with scoreboard data throughout the game. Within LiveSportzCG, you can see all of the data that the ScoreBot is pulling out of the scoreboard and it is broken down by category, such as sport type, score, venue, team name, etc. 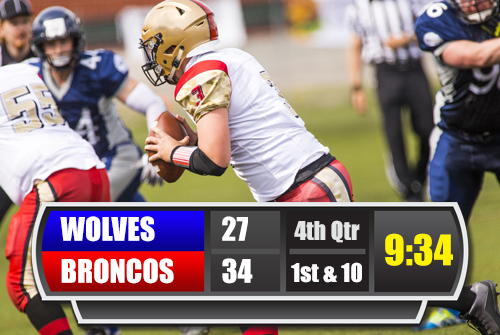 Simply create your own custom scoreboard overlay with your teams colors and logos and drag and drop it into LiveSportzCG to bring in your very own custom scoreboard overlay. 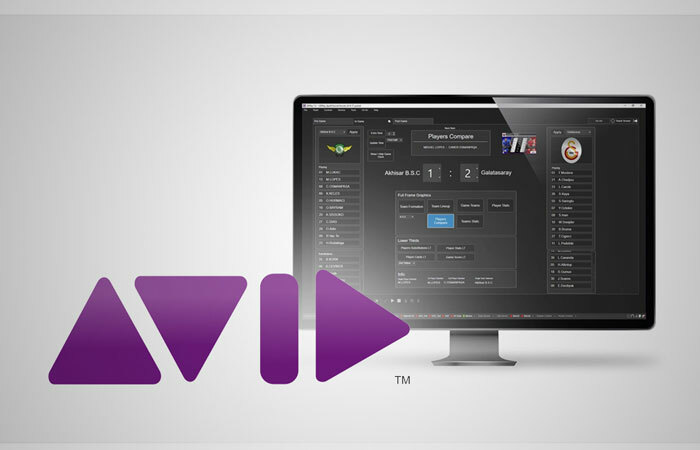 LiveXML is a Sportzcast solution that when paired with a Scorebot, creates a dynamic .xml file that can be consumed by encoders such as NewTek’s TriCaster & others, to create real-time graphic overlays within that application. Character generators, such as LiveText, CasparCG, and Ross Xpression can also interpret the data that LiveXML generates. LiveXML can produce both XML and Excel spreadsheets. Sportzcast’s Control Room is a game-changing, automated sports streaming, scoring, and ad insertion solution. An industry first, Control Room enables live sporting events with automated in-camera scoring graphics, which can be streamed from a single camera without the need for ANY additional equipment or manpower. Intended Applications: Live and recorded sporting events involving a scoreboard including live streaming, coach’s analytics, scouting, etc. Control Room is ideal for multiple sports including softball, baseball, volleyball, tennis and more. 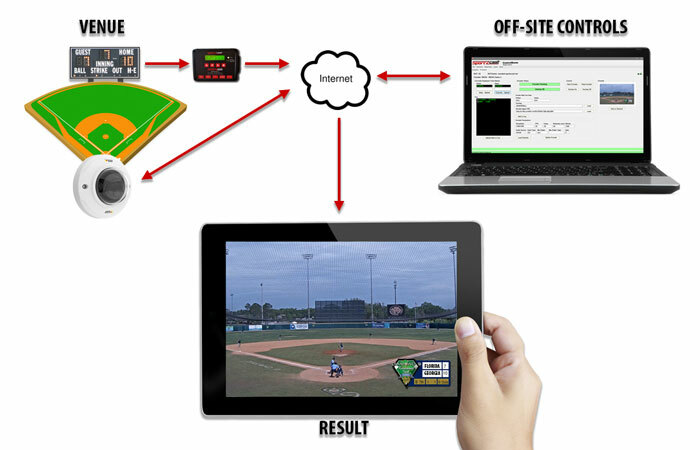 Minimal equipment is required for the Sportzcast – AXIS IP Camera streaming solution. Once installed, all aspects of the equipment and broadcasts can be controlled remotely via the Sportzcast Control Room program on a laptop or mobile device. Want to see Sportzcast in action? Come visit us! Since 2008, Sportzcast has been providing automated workflow tools for organizations ranging from major broadcast companies, to collegiate & highschool educational institutions, professional & international sporting venues, and even single camera streaming productions. With venue connections reaching into the thousands, there’s a good chance you’ve already seen a Sportzcast score feed, but you would never know it. That is because Sportzcast puts the power of the data in your hands to control & increase the value of your product. Sportzcast prides itself on being the fastest, most accurate, data source within your production environment. Yet all the while, striving to maintain the reputation as the simplest piece as well. Contact us today to see what we can do to help add value and efficiency to your organization.